Share our vision for a Containerised Festival Solar System to generate on-site solar energy for use at next year’s Festival. Our plan is to then ship the container to Africa to generate power for a remote village / school. Think it’s a good idea? 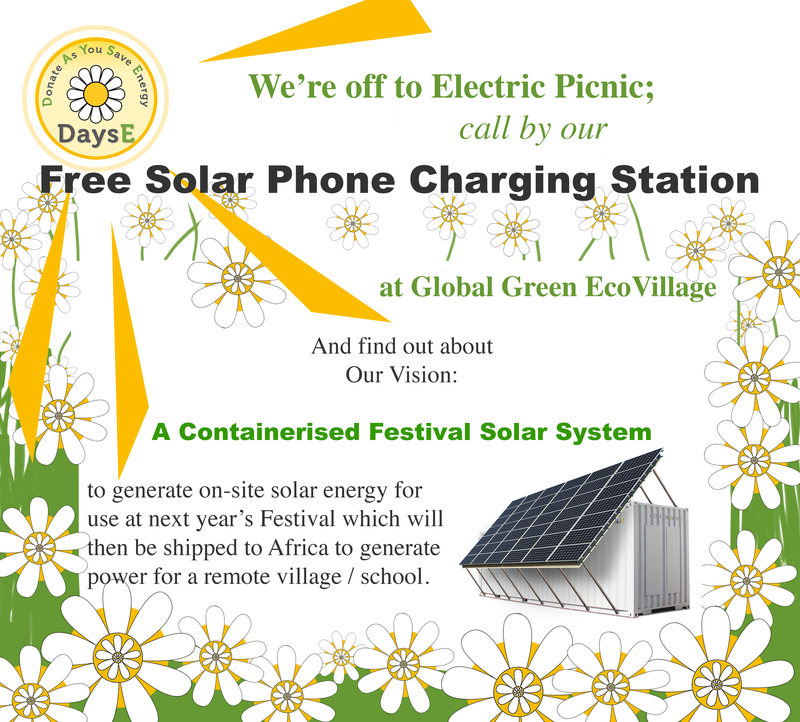 Sign up at our stand in Global Green Ecovillage and charge your phone while you are there.